Denver Post Top Workplaces Award six years in a row. Explore this page to find out why. The Mental Health Center of Denver has been named a Top Workplace by the Denver Post six years in a row! We believe that people are resilient - they can and do recover from mental illness. At the Mental Health Center of Denver, we hire people dedicated to working toward that goal. "When I think about my personal well-being, I know I need to maintain the ability to laugh and not take myself too seriously." "My favorite part of my job is being able to assist families with finding resources." Passionate about mental health, Jason works hard to make sure each of the people he serves is treated with the utmost care and attention. Helina manages and coordinates hospital discharges for the various treatment teams at the Mental Health Center of Denver, to ensure a smooth transition back to the community for the people we serve. Gary manages the peer support staff in the Rehabilitation Department. The team’s main goal is to help individuals reintegrate into the community and become self-sufficient. Evony Cooper, LCSW, describes her work at Mental Health Center of Denver's El Centro de las Familias location. 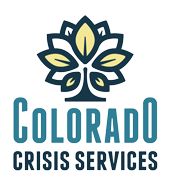 Watch the video for an in-depth look at social work with the Mental Health Center of Denver, including job duties, salary and the ups and downs of a social work career path. This video is Part 1 of a three-part series created by Khan Academy. Click here to watch more. Staff members at the Mental Health Center of Denver share why they've stayed with the organization for 20, 25 and 30 years. We understand that people are rooted in cultures that give their lives meaning, texture and direction. We strongly believe that these multiple perspectives foster community, drive innovation, and inspire excellence. We proudly hold diversity and inclusiveness as an integral part of our mission and goals. "It’s part of our strategic plan to create and maintain a Culture of Well-Being within the organization – a work environment where people can do what they do best and be supported." We believe everyone wants to be great. At the Mental Health Center of Denver, new employees take Gallup's Strengths Finder 2.0 to identify their top five strengths. We focus on the strengths of our employees, people we serve and community partners. "In our culture of well-being, people can do what they do best every day. If we create an environment where everyone can deliver...they deliver the best." "We use information and technology to deliver excellent clinical care and foster well-being in Denver." We offer medical insurance from Great-West Healthcare/Cigna. We offer dental insurance from Great-West Healthcare/Cigna. We offer a retirement savings 403(b) plan and employer match through VALIC. We offer all employees a free RTD Eco-Pass which allows unlimited use of all buses and light rail services in Denver. We offer a very generous Paid Time Off schedule which becomes more robust over time. We offer Basic Life and AD&D Insurance through The Hartford. Mental Health Center of Denver employees are eligible for a variety of loan forgiveness options.